A Candyland photo backdrop is a great addition to any photographer's studio prop collection. You are going to be AMAZED by how much use you can get out of it. Use something like this pink candy cane photography background for birthday photo shoots, party photo shoots, children's photo shoots, Christmas photo shoots, holiday photo shoots, newborn baby photo shoots, holiday greeting card photo shoots, Willy Wonka photo sessions and so much more. The possibilities will seem endless. 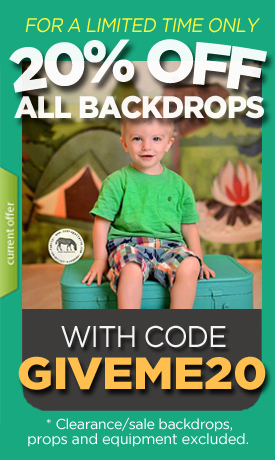 Versatile photo backdrops like this are always a must because they are incredibly handy to have available. The twists and turns of this pink candy cane photo background give the entire design a dimensional look that will pop up beautifully in your pictures. Depending on what you are shooting, you can purchase this photo backdrop in many different sizes. Not only that, but you can get it made with vinyl, canvas or poly paper.